MK Robert Ilatov, one of petitioners who tried unsuccessfully to disqualify Balad, says courts must act to stop terror incitement by MKs. MK Basel Ghattas is suspected of trying to smuggle cellular phones to imprisoned terrorists and the entire political spectrum is in upheaval over the incident. 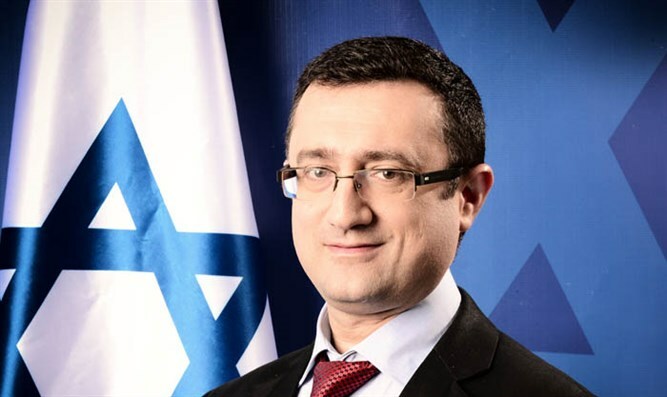 Arutz Sheva spoke with MK Robert Ilatov (Yisrael Beiteinu), one of the petitioners to disqualify members of the Balad party from running for the Knesset, a petition later rejected by the High Court. Do you think that this incident and others may change the position of the High Court regarding the petitions against the Balad party? "The court may have broadened the limits of free expression, but freedom of expression has become freedom to incite as well as acts like this one (smuggling cellphones to prisoners) which we cannot ignore. The enforcement authorities must use all of their authority to put these people in jail," he added. Is this an isolated incident? No, both Ghattas and his friends met with Azmi Beshara who was suspected of security offenses and he gave them instructions what to do. He has established a gang called the Balad party. Its important to note that recently MK Hanin Zoabi travelled to Jordan with funding from a Hamas-affiliated media network. Ahmed Tibi recently interviewed with a Hezbollah-affiliated network and called for a rebellion. These things afterwards lead to acts of terror, stabbings and arson. If the enforcement authorities will not take action this could get out of hand and lead to serious security incidents. Regarding Minister Elkin's request to join up with him and implement the clause allowing for the removal of an MK, Ilatov says that the law needs to be modified since "at present removal from the Knesset is almost impossible. Obviously all of our faction will vote for removal but the change must be more significant. It's doubtful there will be 90 MKs who will agree to remove another member of the Knesset. The Attorney General must investigate the matter. Ilatov maintains that Israeli law should have enough alternatives at its disposal to stop this situation and jail the members of Knesset who encourage incitement and terror, but for this to happen the enforcement authorities must act effectively as is required of them.